We have been baking again! 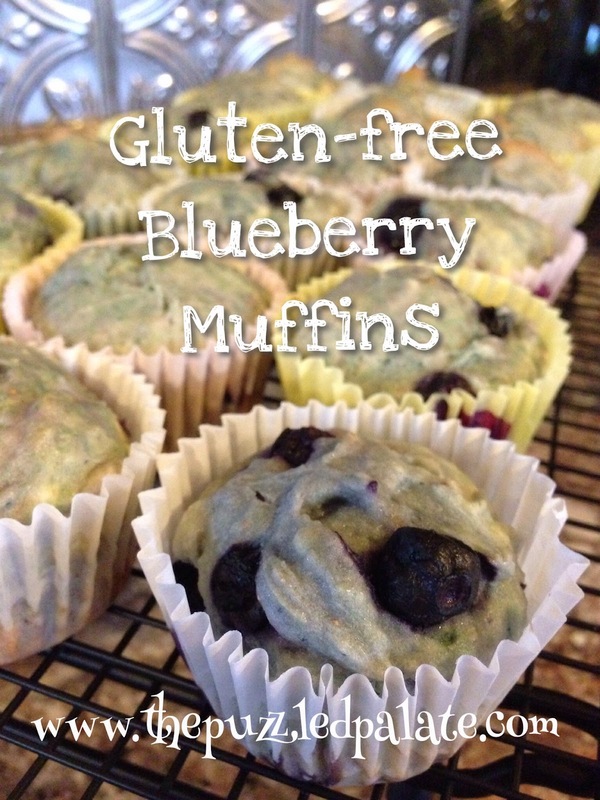 M and I have been in search of a good blueberry muffin that worked with her new gluten restricted diet and picky food preferences. Unfortunately, most of the recipes were either to difficult to follow or they called for a million odd-ball ingredients. I found a basic muffin recipe and changed around ingredients and added extra to increase flavor and moisture. My biggest issue with a lot of gluten-free baking is that the end product is often super dense and grainy- not the case with these! If you are not a GF person, feel free to try our recipe with traditional flour and just leave out the xanthan gum. These were a big hit with everyone that got a chance to taste them. 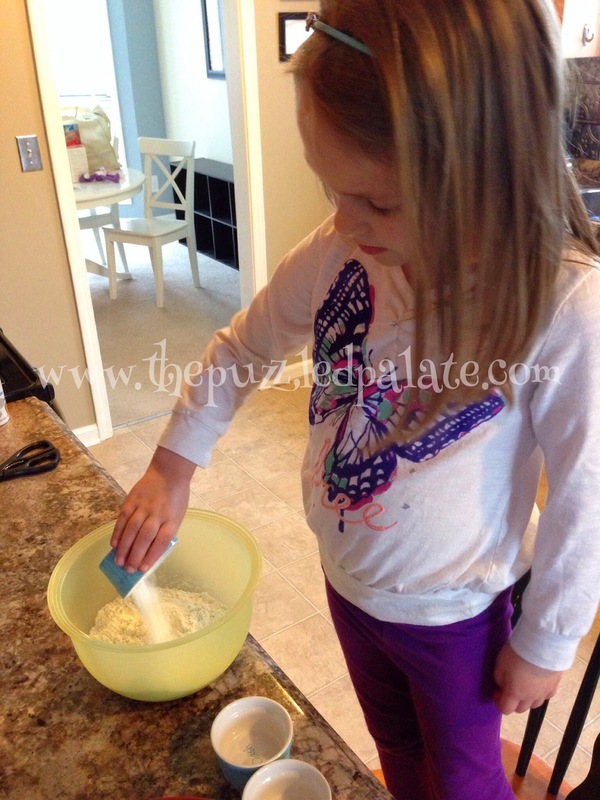 Below is the recipe and some super cute pictures of my sous chef! Now, get those berries thawing and print our recipe! 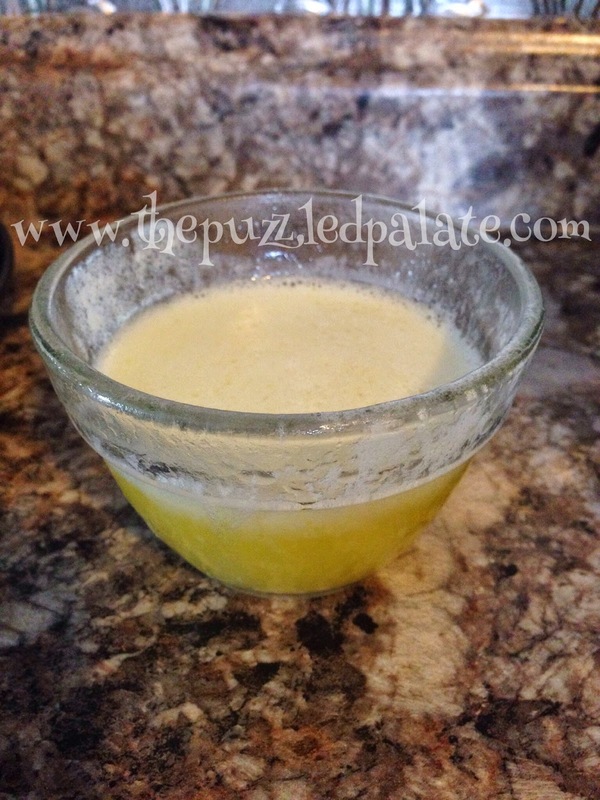 1/2 teaspoon of lemon juice *also optional- but super yummy! *I suggest measuring out everything first and grouping what gets mixed together. 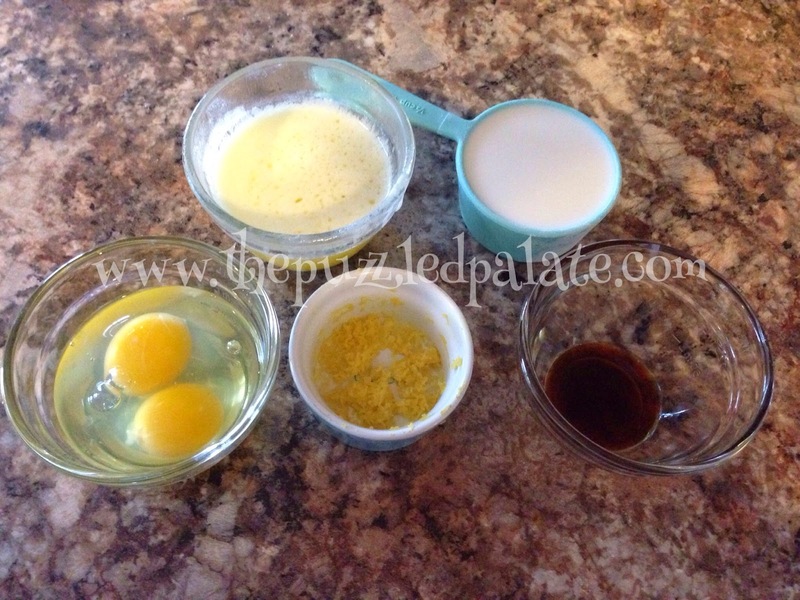 Let butter cool all the way or it can cook the eggs later in the process! GROUP 3: This one is really a solo act. Just be sure to keep it separate! Step 1: Sift GROUP 1 together. 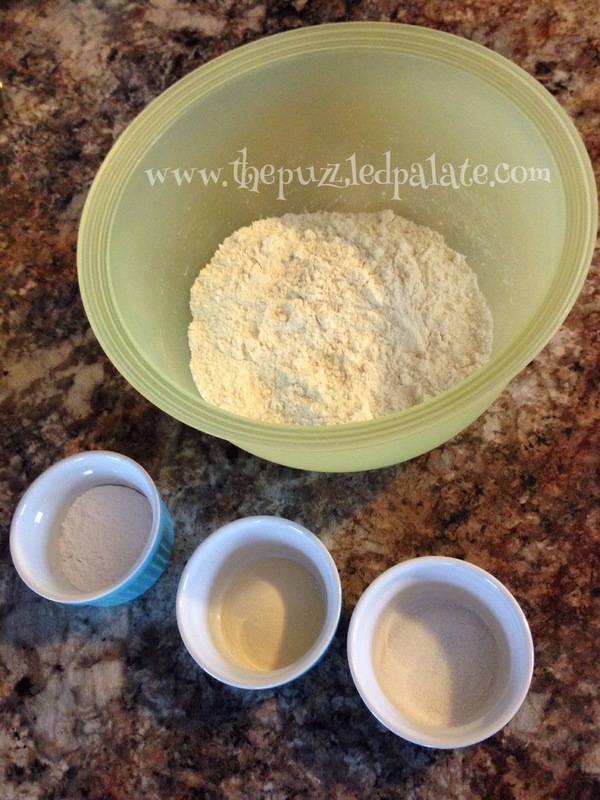 Step 2: In a separate bowl, use a hand mixer to beat GROUP 2 together until blended. Step 5: Put away the mixer and grab a good old fashioned spoon to gently fold in the berries. Step 6: Fill cupcake liners about 2/3 of the way and pop them in the oven for 20 minutes. *Quick tip for even baking: 1/2 way through the cook time, carefully rotate the pan before allowing the to bake for the remainder of the time. Step 7: Allow the muffins to cool in the pan for 2 minutes before moving them to a cooling rack. 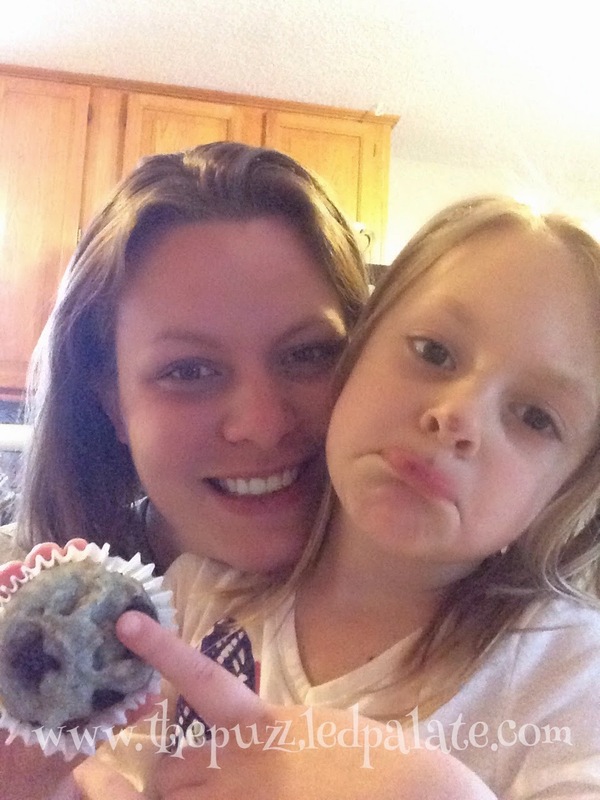 M ate two of the muffins before they even had a chance to cool all the way! She got a little too excited about the second muffin and got blueberry on her nose. At least it made for a cute photo op! We hope you enjoy our recipe! Great recipe. Love a GF recipe. Will share with my friend. I've tried a few gluten free recipes. I try to avoid the "odd-ball" ingredient recipes lol I'll definitely add this to my list to try! I'll bet Red would eat these in a heartbeat. Maybe M can teach him how to stir and then lick the spoon?! Those look awesome! 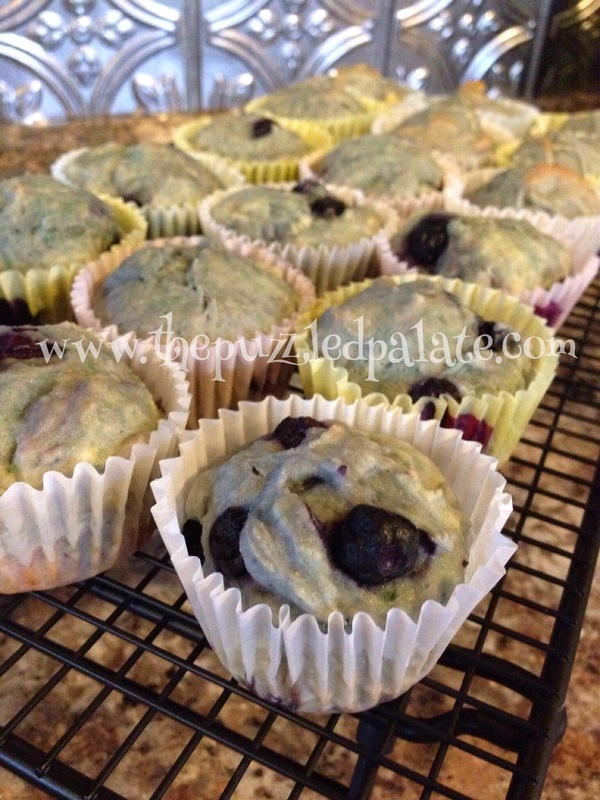 My boys love blueberry muffins, so I will be sure to give these a try. Oh these look delicious! I am thinking of going GF so these would be wonderful to try! Yum! Blueberry muffins are one of my faves. 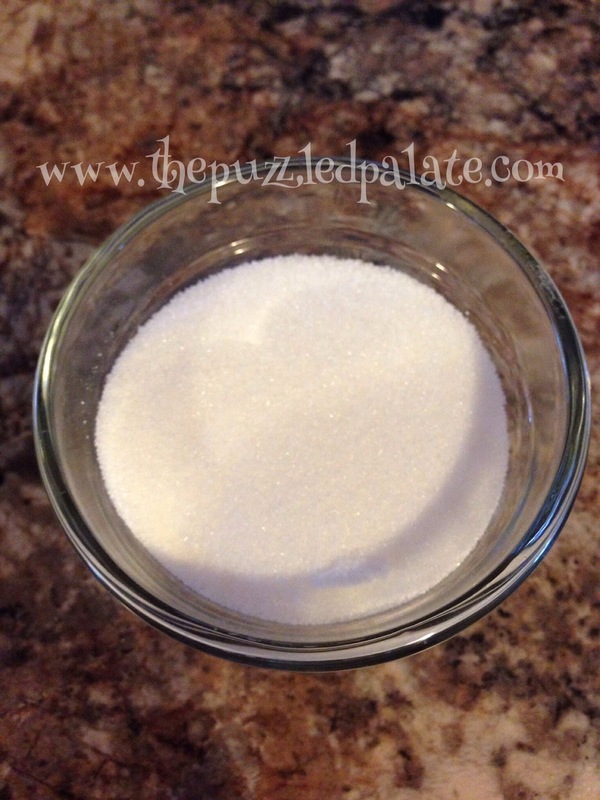 I have a few gluten free friends and family members that I will pass this recipe on to. Thanks for sharing. These look really yummy! I've been trying to make more gluten free baked goods. I'll have to try this recipe out! 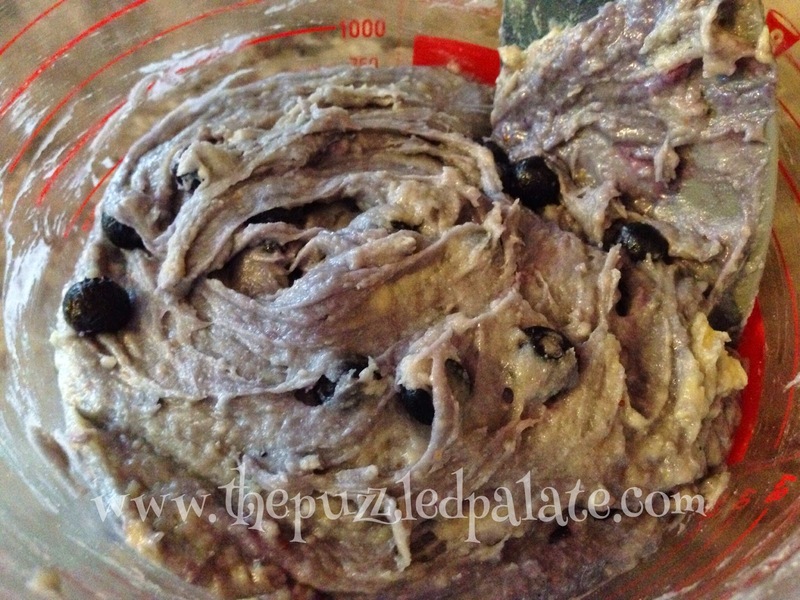 Blueberry muffins are one of my favorites and my husband loves them too. I am always open to trying gluten free recipes because I think that ultimately they are probably better for us all...even if we don't have an intolerance to gluten. I'm going to have to make this. We have two hugs blueberries bushes in our yard, so I have tons of fresh berries on hand. This would be a great things to enjoy with my morning coffee. Thanks for the recipe. I do not have to eat GF foods but often I try them because I hear they are healthier. I have noticed that many GF foods are heavy ... are these heavy? They were not super fluffy- but they were not that nasty dense texture that is associated with GF baked goods! These look absolutely delicious. Saving to make later this week! I really like blueberry muffins. I've tried a few gluten free recipes and mine never turn out quite so well. These look yummy. And.... blueberries are in season here! I had a friend just pick ten pounds over the weekend! Would be a great recipe to use with them. I love that these are gluten free. They look great! Your muffins look delicious! I've never tried making gluten free muffins, just cookies. The recipe seems so easy! I love that you're finding awesome GF recipes! Those look yummy and the blueberries look HUGE!